Letterpress, one of the more addictive games on iOS is now available on Mac. The news comes via the official Twitter account for the game. “Welcome a new member of the family. Letterpress for Mac is now available in the Mac App Store,” tweeted the Letterpress account. Now you can play across Mac and iOS devices. Push notifications and app badges can be configured to signal when it’s your turn. You can download it here. 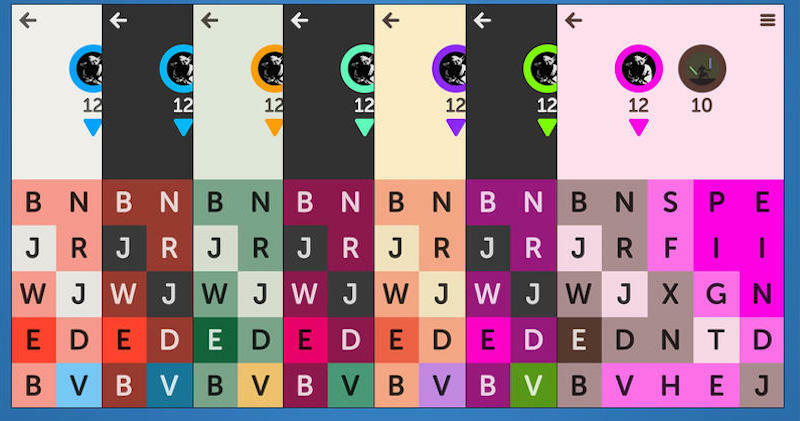 For many, Letterpress was one of the defining games for the iPhone. With a slick user interface it was a heady mix of Word With Friends and Scrabble, blending strategy and cunning all at once, making it an addictive experience. The Mac version weighs in at a paltry 3MB and the game is free. Though the neat swipe and touch mechanics that made it a treat on the iPhone are amiss what with having to use a trackpad or mouse. It’s just as fun to play though. The move to Mac comes barely seven months after card game maker Solebon acquired Letterpress from creator Loren Brichter. “Solebon acquired Letterpress from Atebits [Loren Brichter’s company] in December 2015. We had approached Loren Brichter in 2Q of 2015 but he wasn’t interested in selling at that time. We revisited the topic with him in 4Q and agreed to move forward. Solebon has acquired all the assets and intellectual property related to Letterpress with the exception of any open source code as noted within the credits in the app (standard stuff). Loren remains involved as an advisor providing feedback on our development roadmap and related design and technical issues as requested,” the company said at the time.